The tendency is to think that the latest is the greatest or that today’s worst is a first. These days, that means that the only thing people can agree on is that we’ve never agreed less on, well, just about everything. 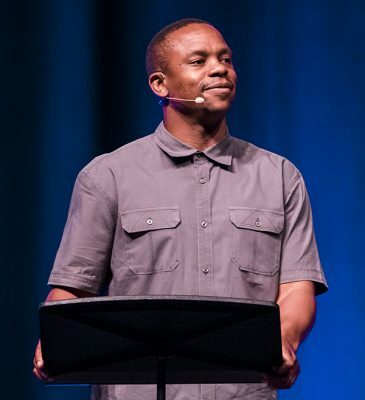 But that’s old news, Riccardo Stewart of Redemption Church in Tempe said Monday morning in his Chapel talk at Grand Canyon University Arena. When Paul wrote the book of Ephesians, the world was just as full of division – and it didn’t need social media to spread the derision. “For He Himself is our peace, who has made the two groups one and has destroyed the barrier, the dividing wall of hostility, by setting aside in His flesh the law with its commands and regulations. “His purpose was to create in Himself one new humanity out of the two, thus making peace, and in one body to reconcile both of them to God through the cross, by which He put to death their hostility. He came and preached peace to you who were far away and peace to those who were near. For through Him we both have access to the Father by one Spirit. Those ideas weren’t considered any more feasible 2,000 years ago than they are today. “The world was a bleak place when Paul wrote Ephesians,” Stewart said. Stewart found it to be just as bleak when he became a Christian a few years ago – bleak in churches that were uniformly divided along racial and ethnic lines. “Every environment I went into with believers, it was never diverse,” he said. So he decided that it would be his calling to try to bring people together, just as the Bible commands. He knows firsthand how difficult that is – he saw it on social media when members of his congregation would lob verbal bombshells at each other during the 2016 presidential campaign. It got so bad, he swore off social media and said he hasn’t used it since. It’s that reconciliation that Jesus called on Christians to spread, Stewart told his GCU Arena audience. They can do that by looking at the Gospel both vertically and horizontally. God has made the vertical part clear and straightforward. He sent His Son to die for us and loves us unconditionally, like a parent, without looking at performance. The horizontal part is up to us. 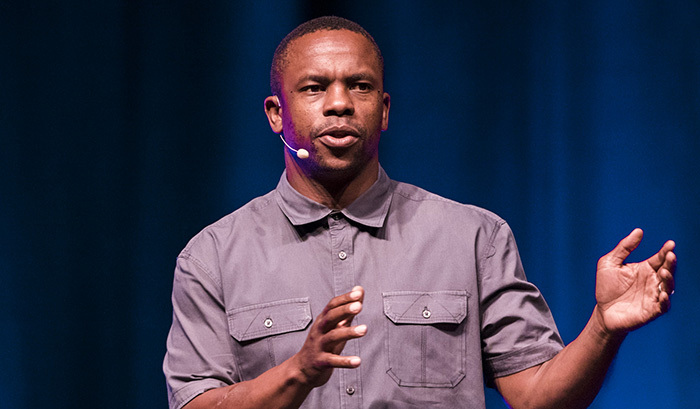 We all play a role in ending the divisiveness, Stewart urged listeners, and said we must learn from Jesus’ example and come together as Christians. Not Democrats. Not Republicans. Not progressives. Not conservatives. One church nation, undivided.